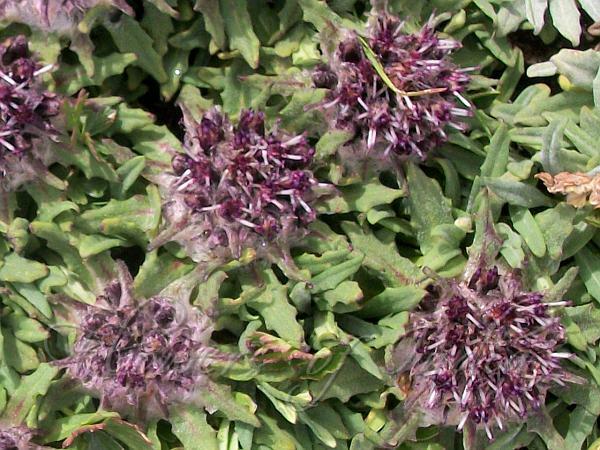 Cudweed Saw-Wort is an almost stemless, woolly-haired, clustered perennial herb, 2-7 cm high, with a dense domed cluster of many reddish-purple flower-heads surrounded by spreading narrow leaves. Flower-heads are cylindrical, about 1.3 cm long. Florets are often embedded in dense woolly hairs. Involucral bracts are lanceshaped, papery. Basal leaves are longest, obovate to oblong, entire or end of the leaves toothed. Leaves are gradually shorter upwards changing into lanceolate bracts. The fruit is an achene with dark brown hairs. 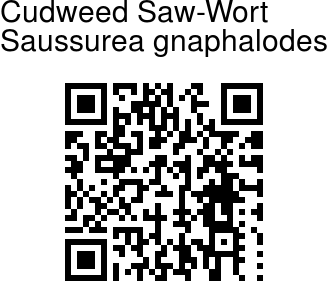 Cudweed Saw-Wort is found in the Himalayas, from Pakistan to SW China, at altitudes of 4000-5500 m. It is common in Ladakh. Flowering: July-August.